Our office and library in Marblehead, MA has thousands of fabrics, carpets, window treatments, furniture, trims, accessories and foam samples to choose from. Just name your color! With a team of highly skilled and accredited professionals, we are ready to deliver your custom project Onboard! 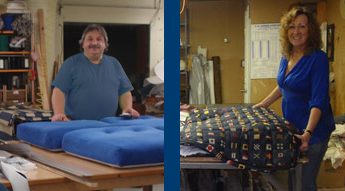 We have several years of experience designing and fabricating quality products. Our team has a unique combination of fine workmanship as well as an education in marine materials. Onboard Interiors resume includes local celebrities' yachts, super-yachts, a historical J Class yacht, and the largest privately- owned sailing yacht in the world! 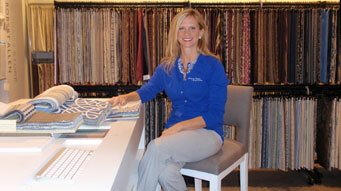 Under the watchful eye of owner, Krisha Plauché, Onboard Interiors is well established and respected design firm. Krisha's background as a licensed United States Coast Guard Captain, a certification from Westlawn School of Marine Technology along with several years employed as a yacht designer provide her with the hands-on and technical tools she needs to outfit your vessel. 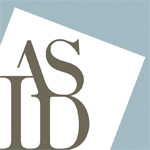 She is a contributing author in many Industry magazines, a recently appointed Director of the Massachusetts Marine Trades Association and a member of ASID, the American Society of Interior Designers-the oldest, largest and leading professional organization for interior designers. 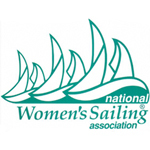 Krisha has logged several thousand hours onboard yachts offshore sailboat racing, sailboat cruising, fishing, powerboat cruising, and deliveries both in the States and abroad. 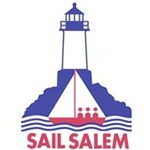 She has first hand knowledge of how to make your boat your coastal home-"cruisable" and comfortable! "Some of my favorite times have been on or near the water, with that in mind, I design your boat to reflect a nautical sensibility using seaworthy materials all so that your life is good onboard!" 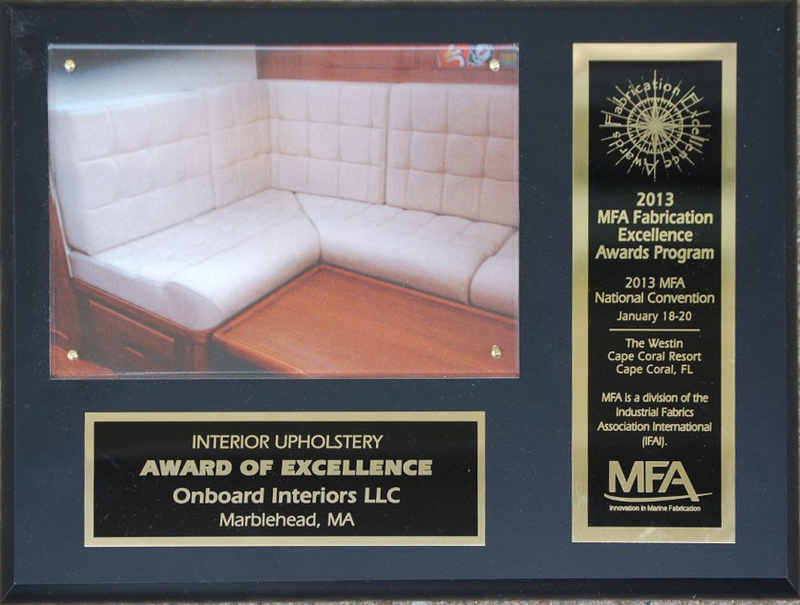 The Marine Fabricators Association presented Onboard Interiors with an award for Excellence in the Interior Marine Upholstery Category at the Feb 2013 MFA National Convention. 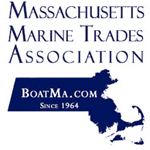 The competition is designed to recognize excellence in marine fabrication. We are thrilled to receive this award! 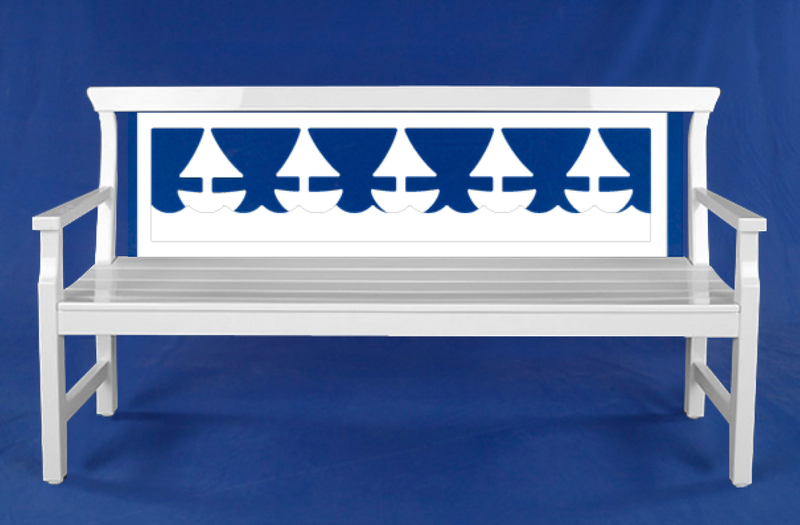 Onboard wins Design Contest with Weatherend Furniture!! Here is the finished product-order your items today--Custom paint colors available! 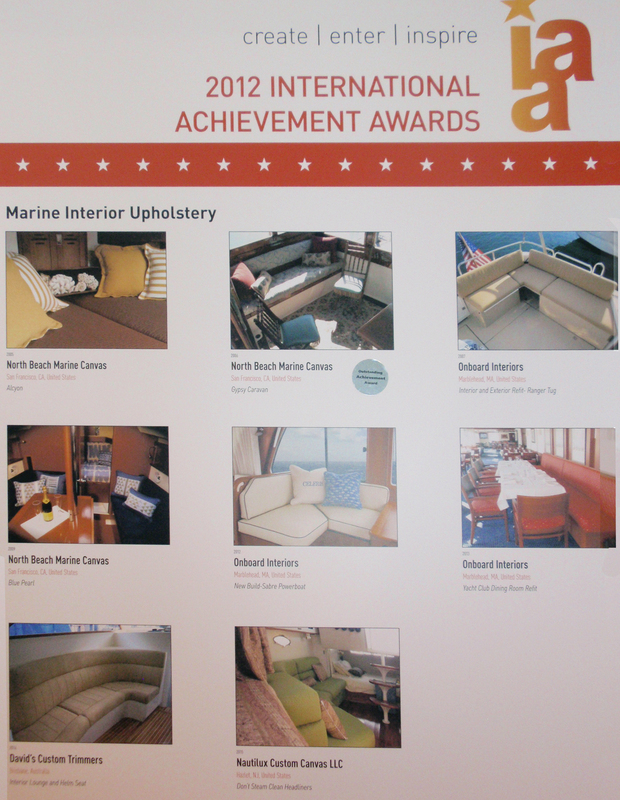 The IFAI selected three projects from Onboard Interiors in the 2012 International Achievement Awards under the Marine Interior Upholstery Category! The IFAI annual awards “Recognize Specialty Fabrics Design Excellence.” There were only a total of eight international projects selected in this category. 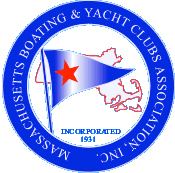 Check out our articles, photos, and informations in US Harbors, New England’s coastal harbor guide. 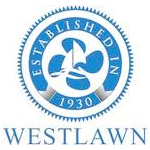 Onboard has hosted as a seminar expert for the session titled keeping your boat “ShipShape”. Find out which products can make your seats and canvas look new! 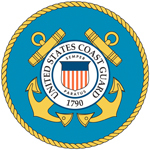 trouble-free use in this difficult marine environment.'" 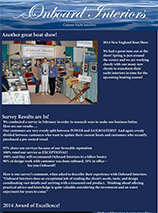 "Onboard Interiors, a Marblehead, Mass., shop specializing in marine interiors, her recent entry into the cruise ship market proved to be a business success." 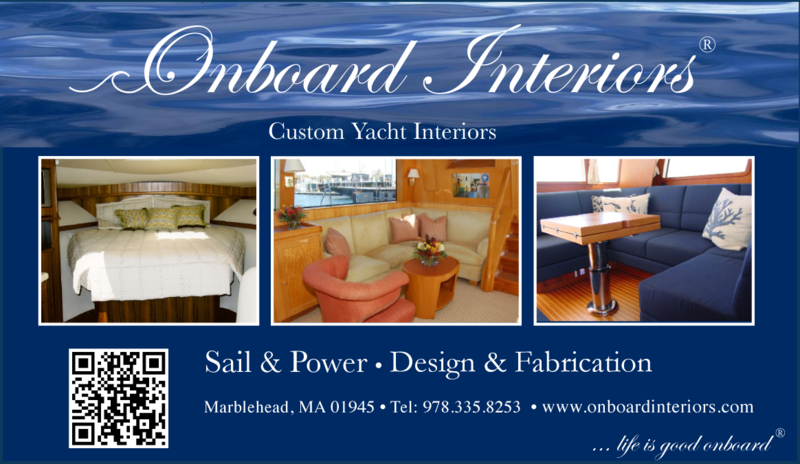 "Onboard Interiors specializes in boat interior design, providing unique design ideas, top of the line fabrics, and great workmanship to customize living spaces both inside and outside. Krisha is highly rated by her repeat customers as being creative, a good problem solvers and bringing a strong sense of what is practical on a boat. 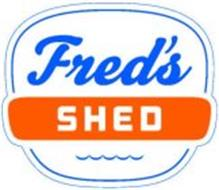 The company is based in Marblehead MA." Sign up to recieve our newsletters!